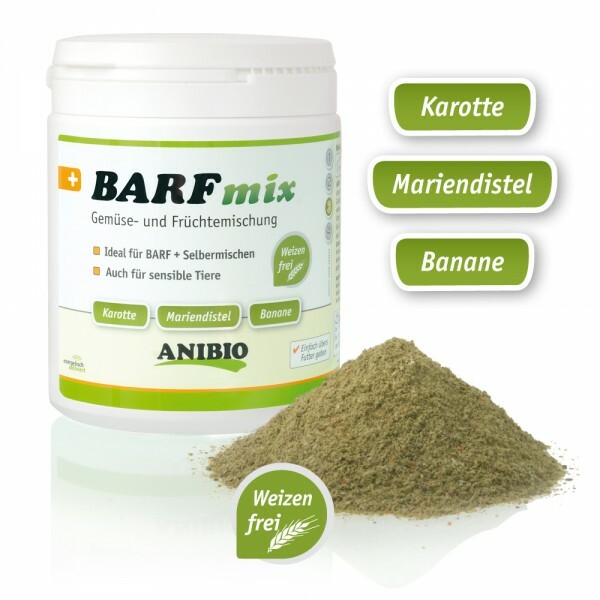 BARF-i-mixis a balanced and appropriate supplement to raw feeding. The harmonious combination of fruit, vegetables, herbs and other valuable natural ingredients is a simple and healthy addition to the animal`s food. BARF-i-mix provides the organism with important elements in an easily digestible form. Millet flour, apple residue, banana semolina, fennelfruit, diced carrots, parsley, Flohsamenschalen, lovage leaves, seaweed, hip peel, milk thistle seed.